Find us on Google+ Blue Mountain Reiki: Reiki Article Translated to Ukrainian! Reiki Article Translated to Ukrainian! Special thanks to Reiki colleague Vladyslav Makaruk from Ukraine who has just translated my "Can Reiki Cause Harm? "article into Ukrainian! It is exciting to be able to share thoughts on this important topic with people all over the planet. Earlier this year, another of my Reiki News Magazine articles entitled "Reiki and Intuition" was also published in Italian by the lovely folks at Cascina Rosso. Sending Reiki blessings and much gratitude to all who have come together to share these Reiki words. Additionally you will be prepared to utilize images that mend profoundly and might be utilized to break the negative examples that protect us the cannons at work from reality. You're preparing might just reestablish love and adjust in your life. These and more might be well given to you through karuna reiki . Articles are not supposed to be sales letters but should be an enticement for readers to visit your blog. An article should always provide helpful information and include a link to your blog in the resource box. If people like what you have written, they will want to read more. How Does Distance Reiki Work? 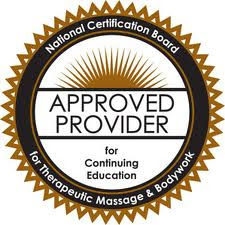 Haley Steinhardt is approved by the National Certification Board for Therapeutic Massage & Bodywork (NCBTMB) as a continuing education Approved Provider (#117). Haley Steinhardt, RMT, now offers Reiki classes in Houston, TX! Services, opinions, and spiritual insight offered by Haley Steinhardt/Blue Mountain Reiki are intended to compliment traditional medical and psychological care, not to replace it. No service, opinion, or spiritual insight offered by Haley Steinhardt/Blue Mountain Reiki is intended to diagnose or treat any specific medical or psychological condition. (c) Haley Steinhardt. Simple theme. Powered by Blogger.